XTreme Looks with Textured Finish. ** Oversized 1” port radius and 360 degree bracing virtually eliminates standing waves, resulting in greater power handling, smoother frequency response, increased woofer life and greater output. 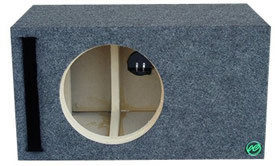 Audio Enhancers Subwoofer and Speaker Boxes and Enclosures Made in the USA. 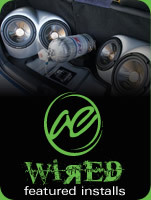 Featuring Sub Boxes and Sub Enclosures Made for Specific Drivers and Vehicles. *Website pricing is for reference only and is subject to change without notice. All images and content contained herin are property of Audio Enhancers. All Rights Reserved. Any usage without permission is strictly prohibited.